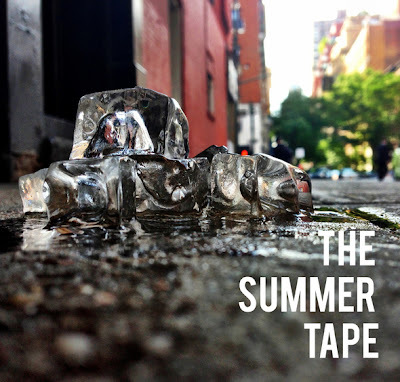 TMB-Music.com: Download: Audible Doctor - "The Summer Tape"
Download: Audible Doctor - "The Summer Tape"
“The Summer Tape” is out now! The second of The Audible Doctor’s “Seasons” series the EP is entirely produced by The Audible Doctor and features Oddisee, Hassaan Mackey, Guilty Simpson, Edo G, Kurious, Chaundon, Francesca, & Davenport Grimes, plus a bonus Cassette Exclusive track featuring Homeboy Sandman & Del The Funky Homosapien. The EP is available digitally and on Cassette. Purchase the Cassette: "The Summer Tape"
Purchase the Digital EP: "The Summer Tape"
What I'm Watching: Mr.Ivory Snow - "Raw (C'mon)"
Fair Fridays: Fair - "Grow Tall"
What I'm Watching: FAIR - "iNtro"
What I'm Watching: Jaheim - "Age Ain't A Factor"
What I'm Watching: TGT - "I Need"
What I'm Watching: mo'heat - "Millennium"
Kidd Upstairs – "A La Mode"
What I'm Watching: Doctor J - "Strung Out"